Recipes from two guys who have always loved cooking. Top with minced Cilantro and maybe some green onions! Growing up whenever I heard the word “curry” I would always associate it with the Japanese style “curry”, but little did I know that there was huge variety of different styles and tastes of curry all around the world. 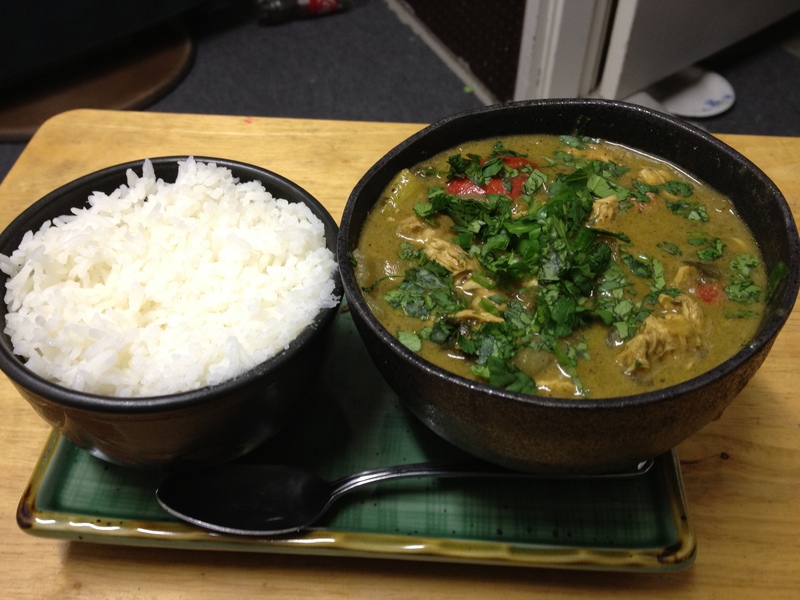 Recently I have been obsessed with Thai food, especially their style of curry! So you can imagine how excited I was when, shopping at Cost Plus World Market, I stumbled upon a Thai Green curry spice blend. I knew right then that was what I was making for dinner. Making it couldn’t have been simpler. All you need is chicken (any cut works, I used thighs), veggies (I used onions, carrots, bell peppers, and bok choy), Coconut milk, that green curry spice blend (if you can’t find that at least use lemongrass, ginger, ground coriander, ground cumin, cilantro, and basil), lemongrass, ginger, fish sauce, and salt and pepper to taste. Easy as can be! Cook chicken, add veggies, add seasonings, let simmer until everything is cooked through. Serve with rice, Jasmine rice if you are trying to stay authentic. Thought I would use my nice bowls and serving plate! 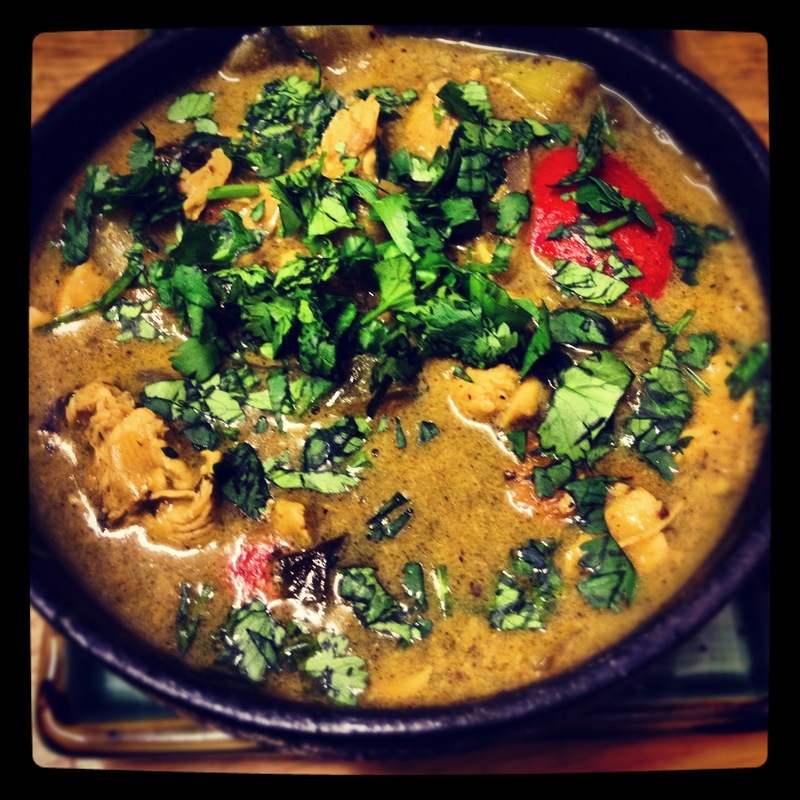 This entry was posted on April 1, 2012 by rrfoods in Chicken, Dinner, Quick Nom, Soup and tagged Dinner, Thai Curry. Celebrity Shot: Lauren’s Chocolate Coconut Cookies!